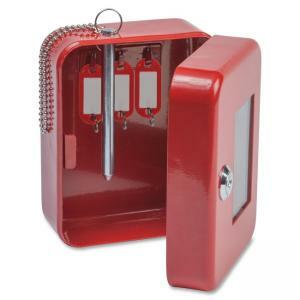 Emergency Key Safe makes sure fire departments and law enforcement staff can get emergency access they need to protect you and your belongings. Steel commercial-grade construction protects your keys stored inside on the three red, plastic key tags that match the eye-catching red exterior. Glass window in the hinged door can be broken in an emergency for access to the keys hanging on the three hooks built into the back of the seamless, heavy-gauge steel key safe. The safe even includes a pointed steel bar chained to the top and hanging through a hole in the top so it can be used to break the glass window. 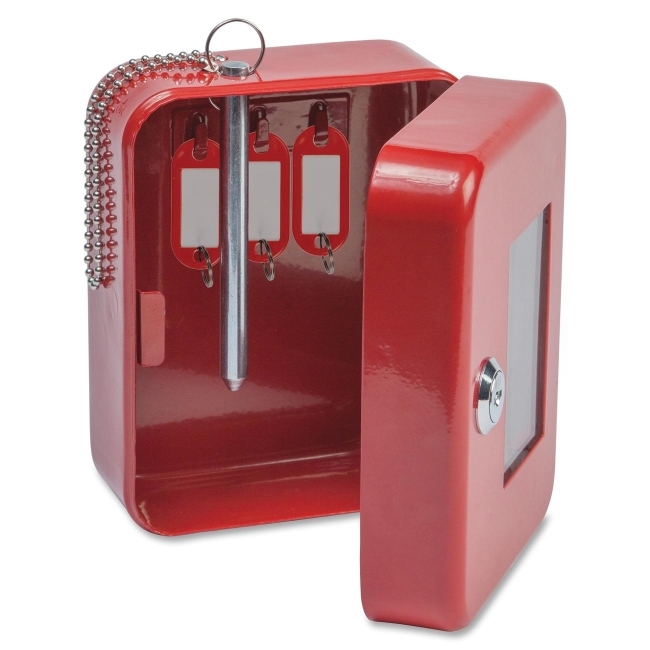 The safe also features powder-coat finish for durability.